Listen. I want to tell you guys about the Dollar Tree. 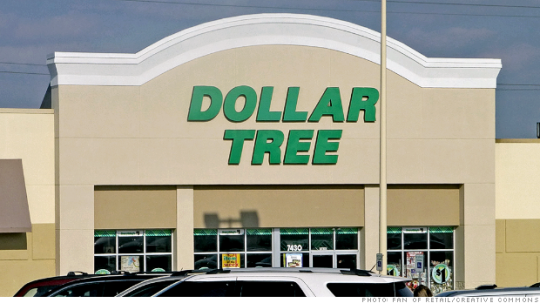 If you ever need to rebuild your life fast, you want a dollar tree. Everything in a dollar tree costs one dollar. No exceptions. Nothing has a price tag. Everything is one dollar. This is Dollar Tree not Dollar General. Their stuff is off-brand but decent quality. – any kind of office supplies or school supplies. Staplers, pencils, posterboard, pencils, pens, etc. – all kinds of toiletries- shampoo, conditioner, toothbrush, toothpaste, dental floss, washcloths, deodorant, razors, shaving cream, nailclippers, etc. Decent sizes, too. Basically? If you ever get kicked out of your house or find yourself with a couple bucks and nothing else, get thee to a dollar tree. But dose it have tampons? Yes. And pads and douche.